Looking at old pictures of Soviet Alma-Ata, one is struck by the neatness of it all. Streets are nearly empty. 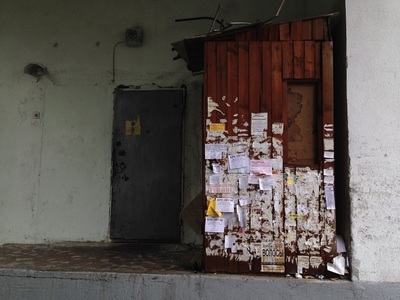 Apartment buildings are neatly stacked; the concrete looks fresh. 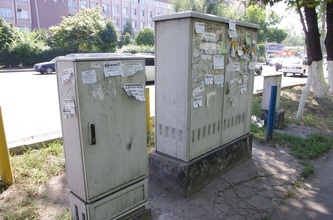 Everywhere are the clean lines of modernism, an aesthetic of order and control. 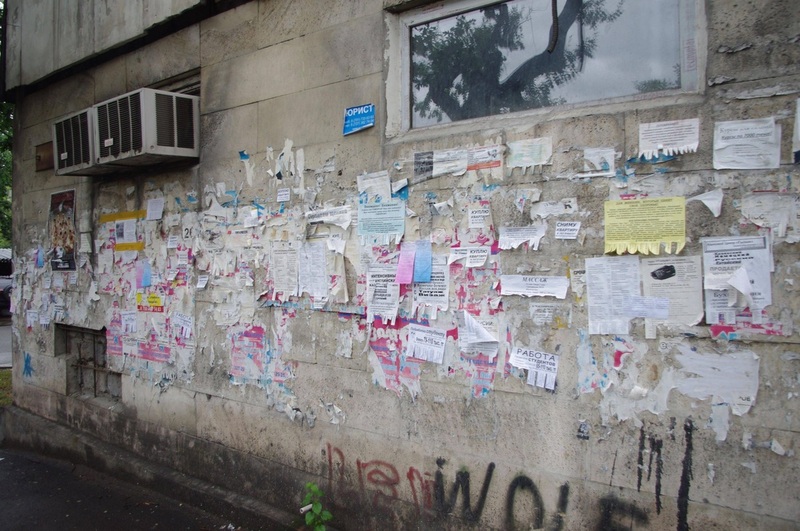 Now, the city has been made over by the chaos of capitalism. Apartment buildings are no longer symmetrical and iterative - every balcony has a different kind of cladding, and air conditioning units are hanging to the walls here and there, hodgepodge in a way that the Soviet code would never allow. 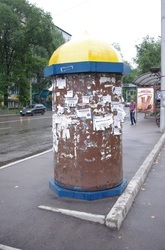 Neon signs and billboards, in a million different colors and fonts and styles, compete for every pedestrian's attention. 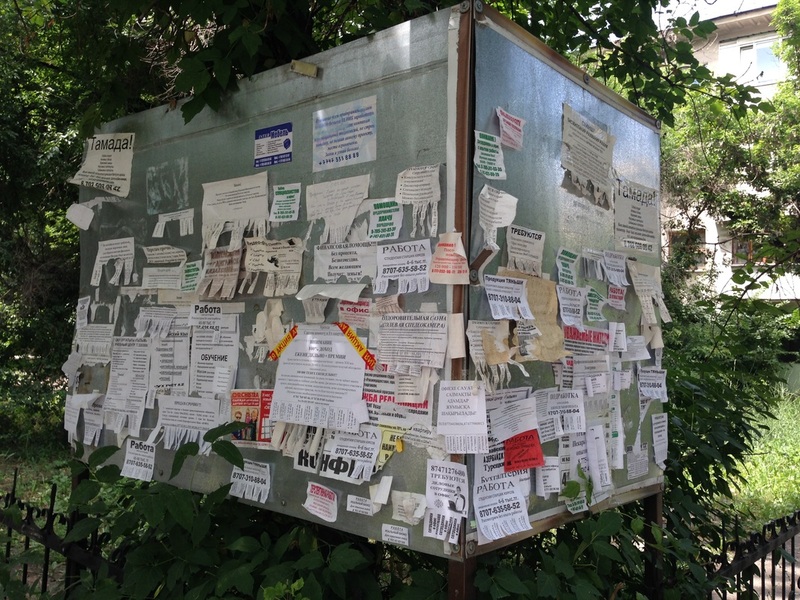 The most radical development to clutter the once-pristine public space is also the most democratic - the posted classified advertisement. 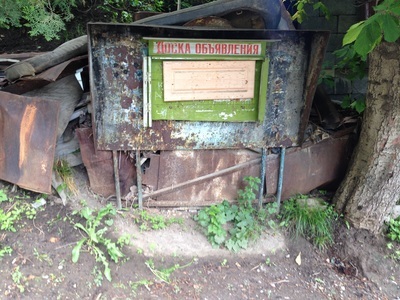 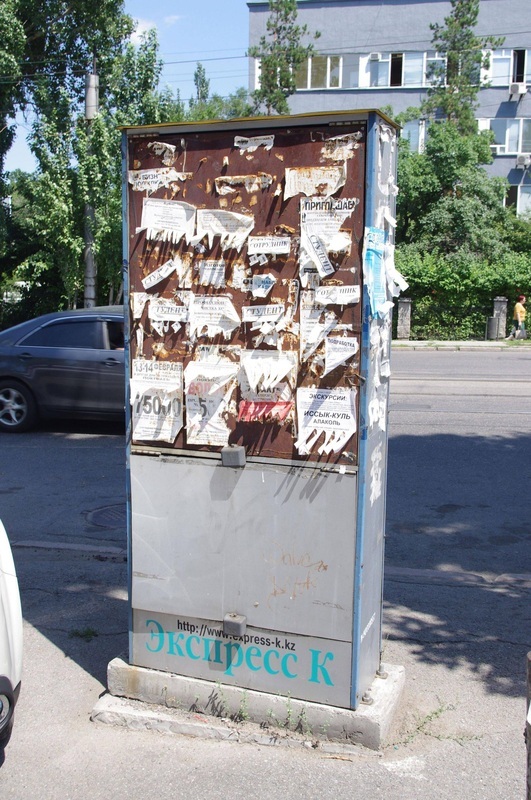 In Russian the phenomenon is called raskleika [расклейка; "posting", from the root klei, клей, or "glue"], used in compound nouns like raskleika obyavleniy [расклейка объявлений; "the posting of an announcement") or raskleika afisha [расклейка афиша; "the posting of a bill"]. 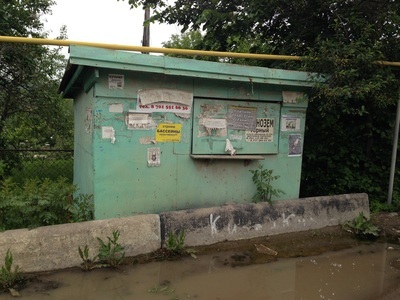 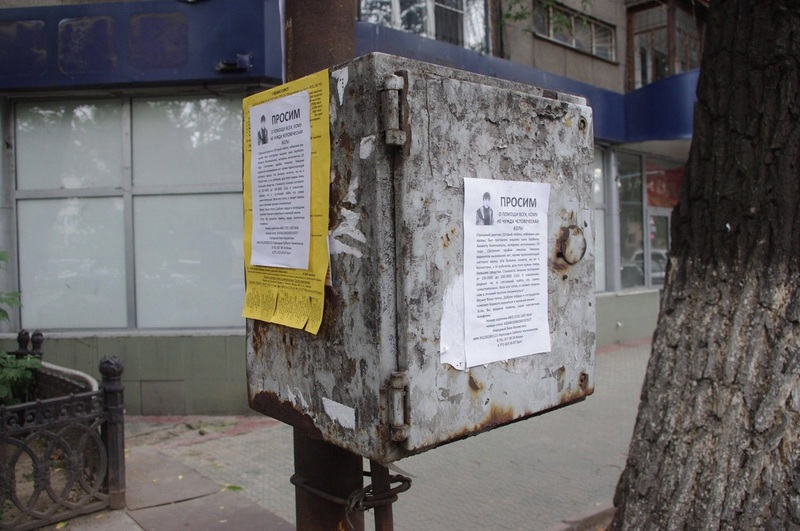 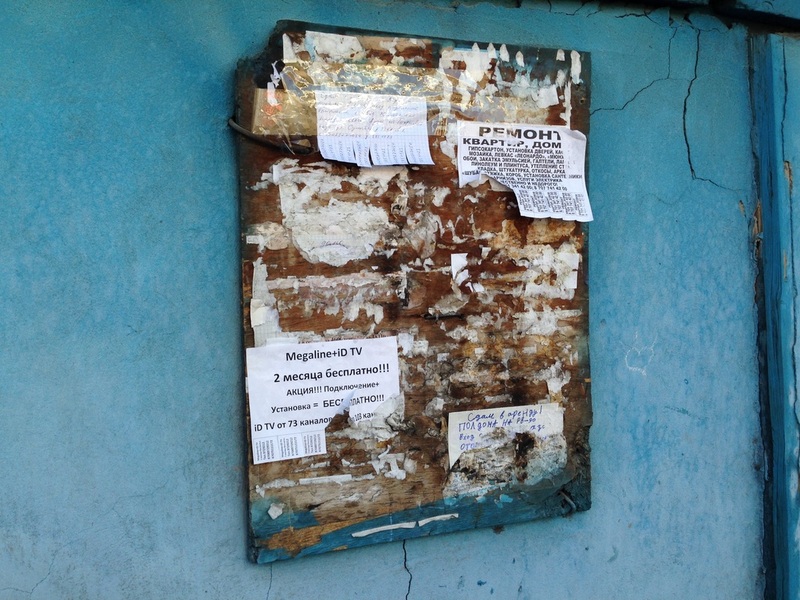 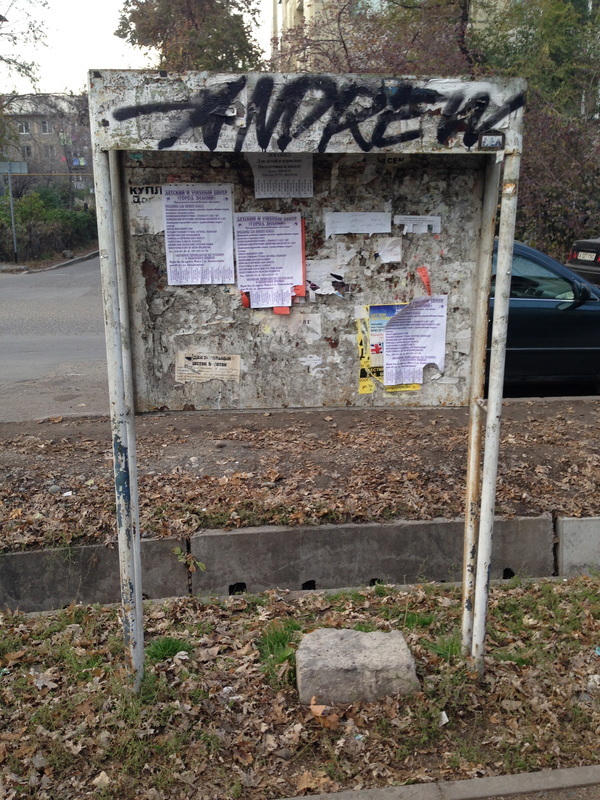 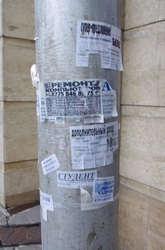 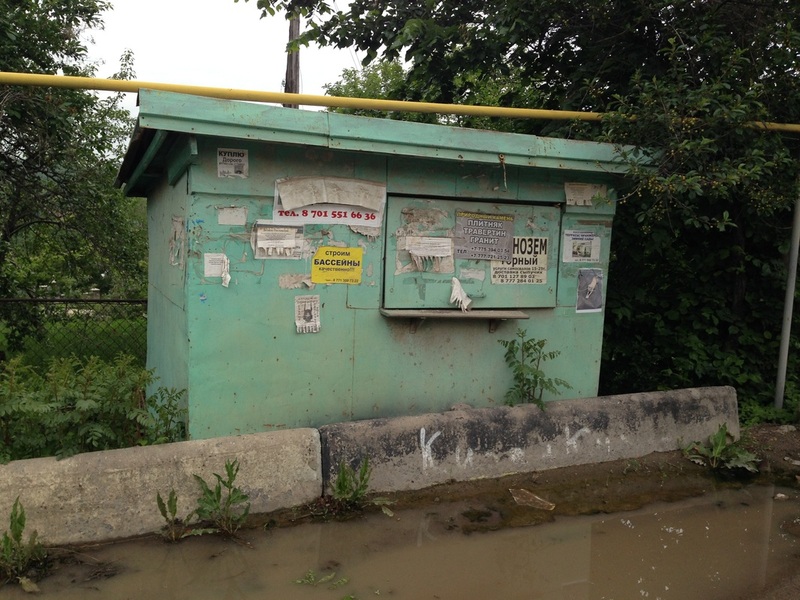 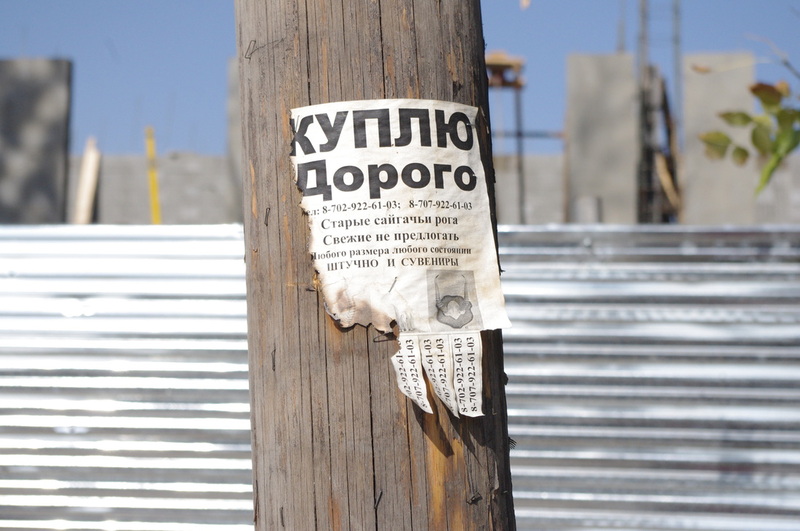 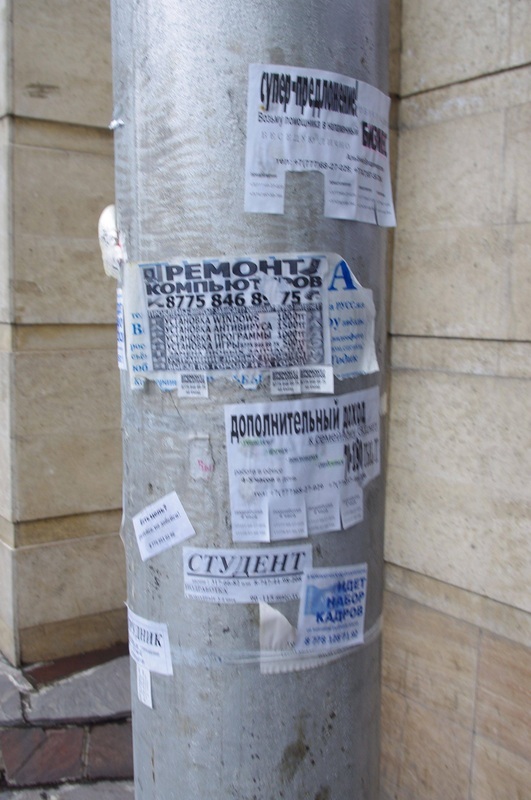 These low-budget ads are glued or taped to almost any surface imaginable - trees, poles, utility boxes, walls...there are even special bulletin boards that have been erected just for poster-posting. 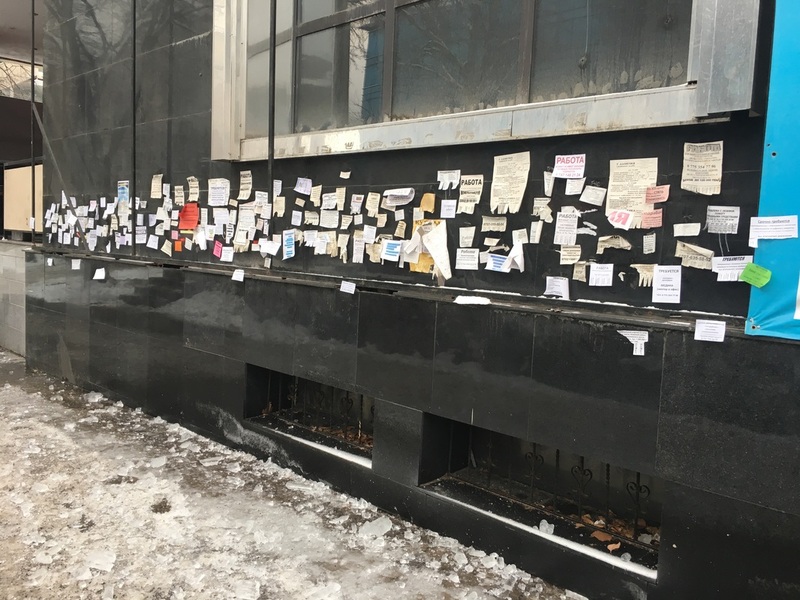 You can find them on nearly every block, but certain buildings or corners have become hotspots, especially those that draw a lot of foot traffic. The few blocks around the Green Bazaar are positively splattered with papers. 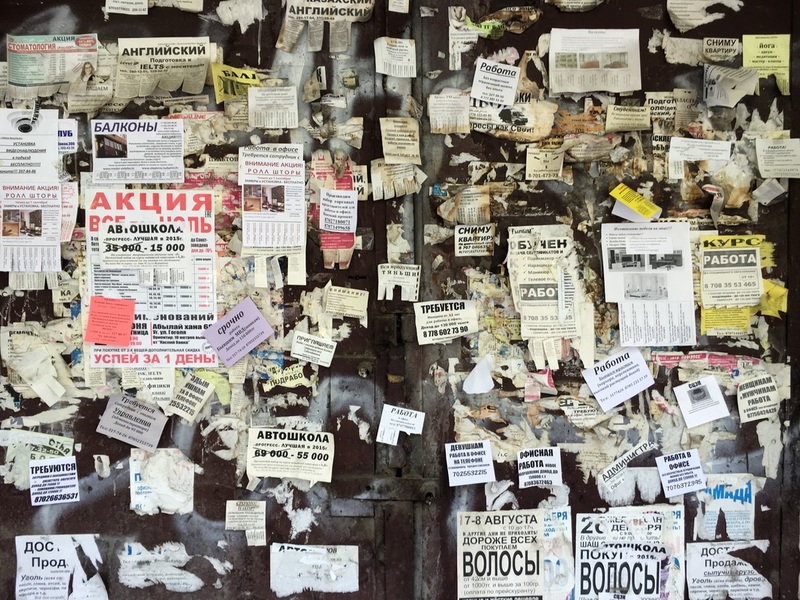 They are almost always written in stock word-processor fonts and printed in black and white, with a quick announcement, a phone number, and little hanging teeth that people can pull out for mementos. 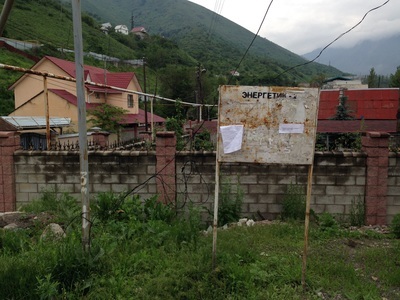 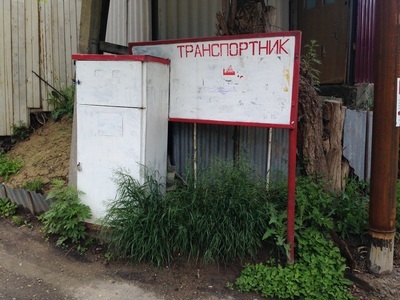 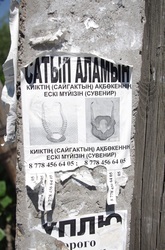 Some are from people with something to sell, some with something to buy (by far the most well-distributed sign, for example, is from a guy soliciting saiga horns). 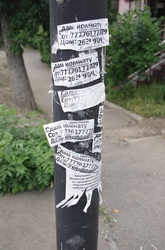 Services are frequently advertised - there seem to be a lot of massage classes, but language courses are the most common. Ads frequently tease out-of-work men with dreamy employment opportunities: "Strong, young guys needed now!" 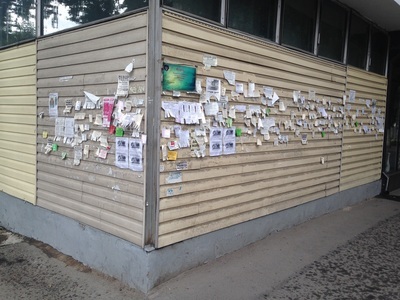 Like any good advertisement, the postings try above all to appeal to the average viewer's hopes and dreams, luring them in with the nagging prospect of self-improvement. If one were to diligently follow every enticement, they would find themselves multilingual, multitalented, gainfully employed and quite possibly enlightened (the ads for yoga and meditation classes, no surprise, have the headiest claims). 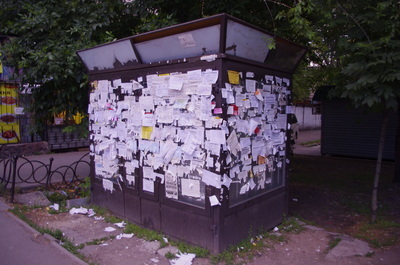 They're not all postcards from a glorious future, though - there's plenty of heartbreak to be found as well. 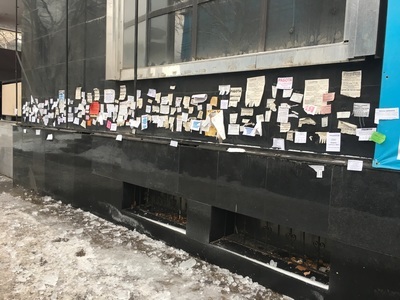 Handwritten notes, scribbled in panic, seek out lost passports and purses and sometimes something more dear — lost dogs and cats are not uncommon. 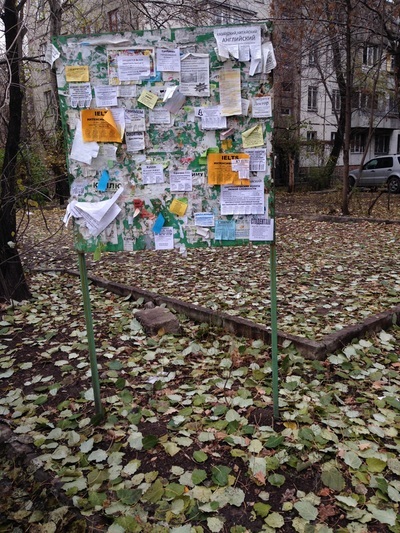 Pleas for charity come with pictures of scared people in hospital beds. 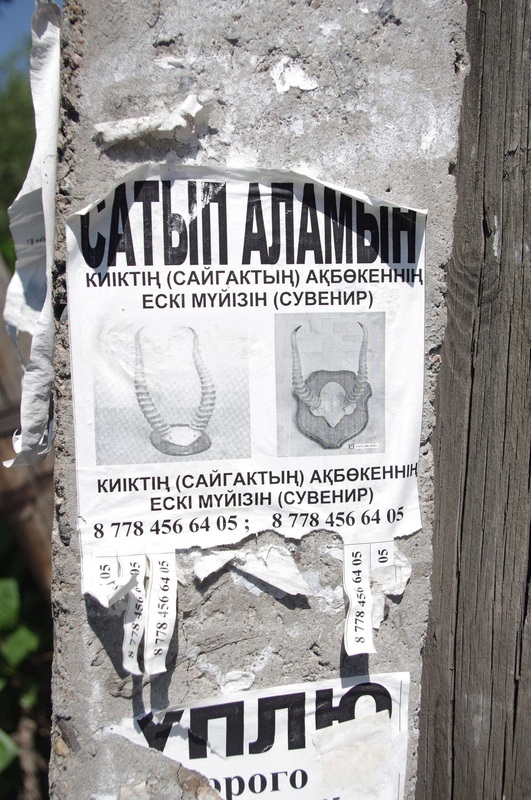 Rudimentary police sketches show wanted criminals with crappy moustaches. 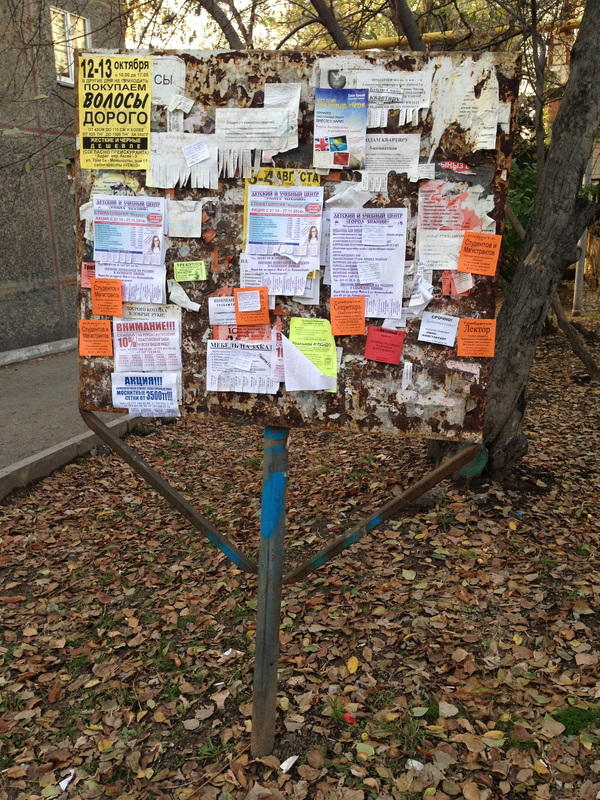 These posters crowd around the hopes-and-dreams, reminding us that we should probably take that cooking class. 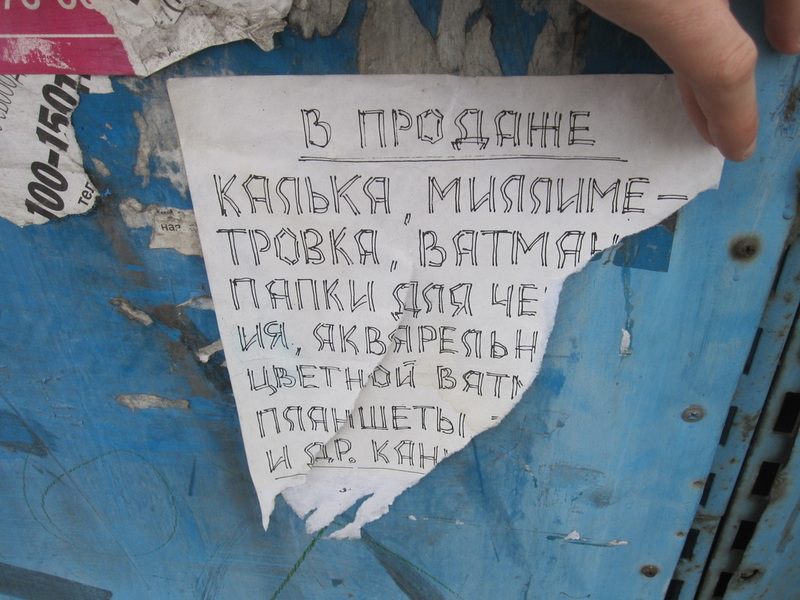 Misfortune could strike at any moment, stealing our pets or good health. 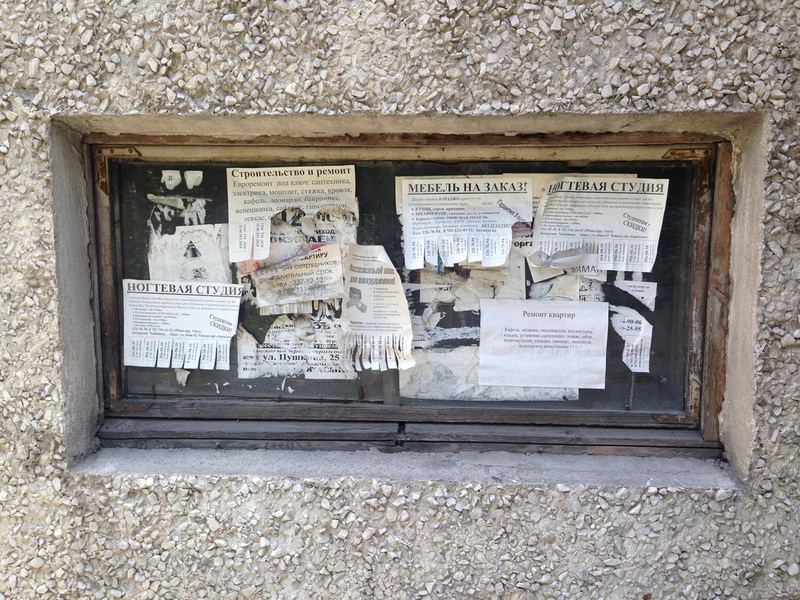 Better learn the art of baking before it's too late. 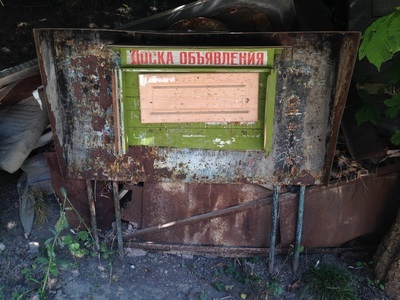 I haven't found any definitive history of these things, but I'm quite fond of speculation. 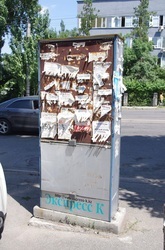 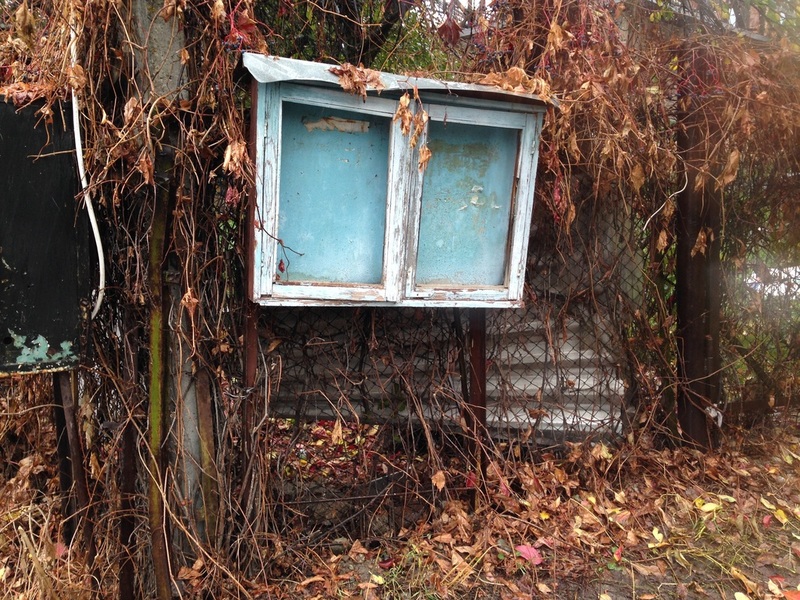 Local advertising platforms like billboards have been monopolized by a company called Almatygoroformlenie (Алматыгороформление; "Almaty City Decoration"], which got its start in the heady years of the early Soviet Union, when it was a small workshop where artists copied paintings and painted slogans. Almatygoroformlenie was a propaganda joint, basically - but back then, all advertising was from the state, so it was "propaganda" by default. 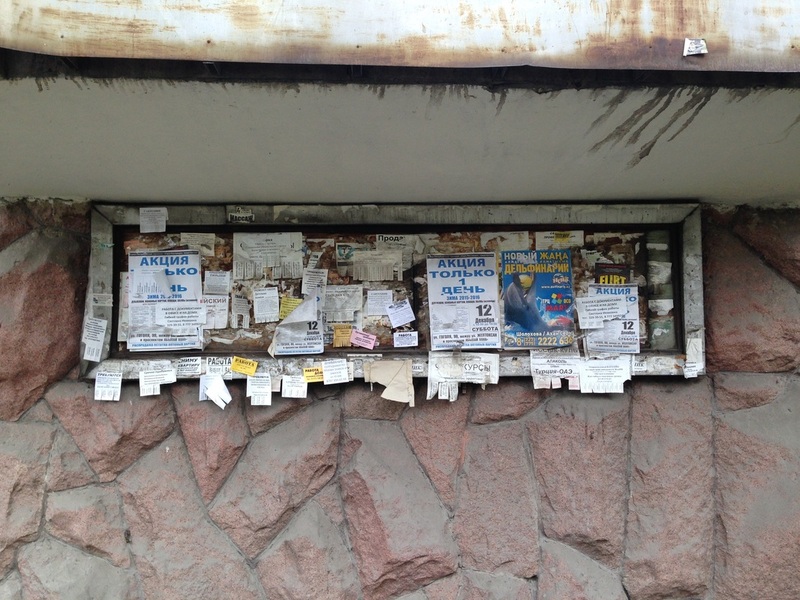 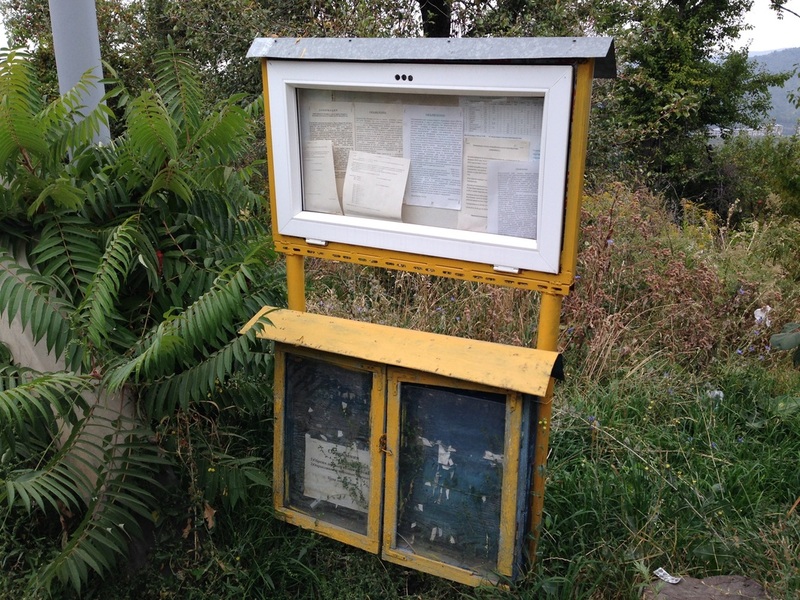 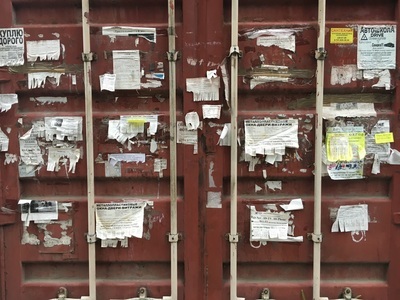 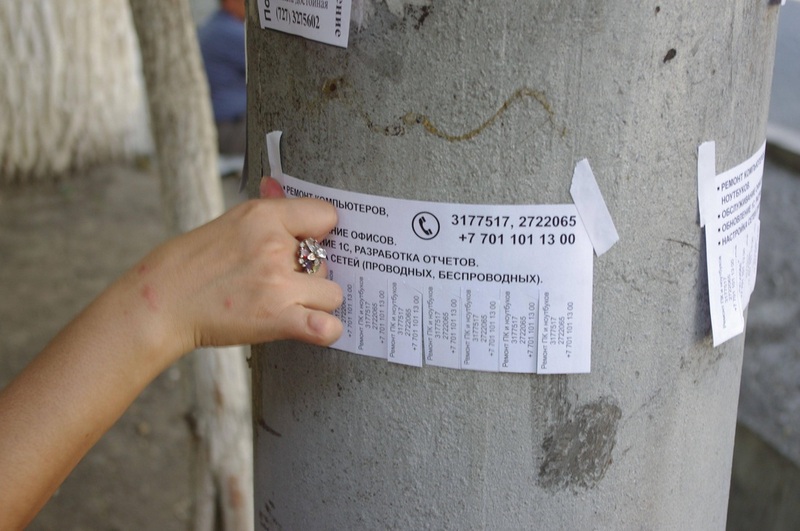 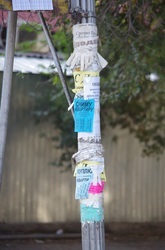 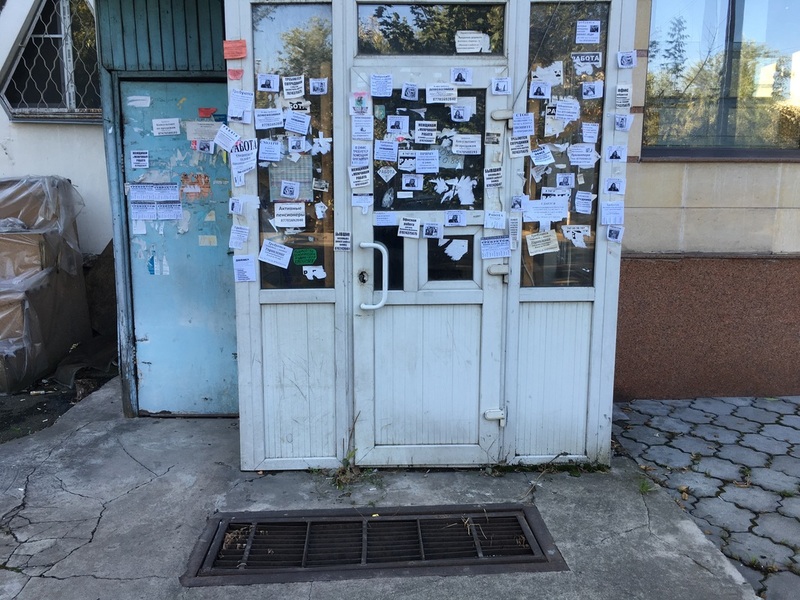 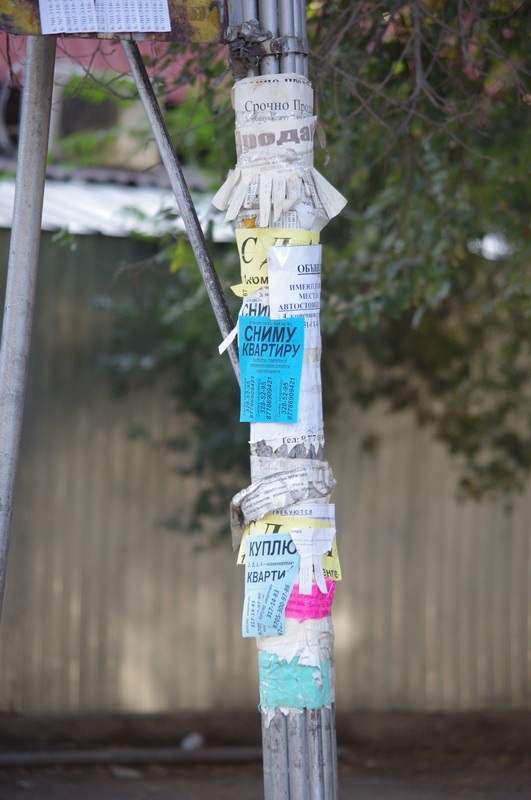 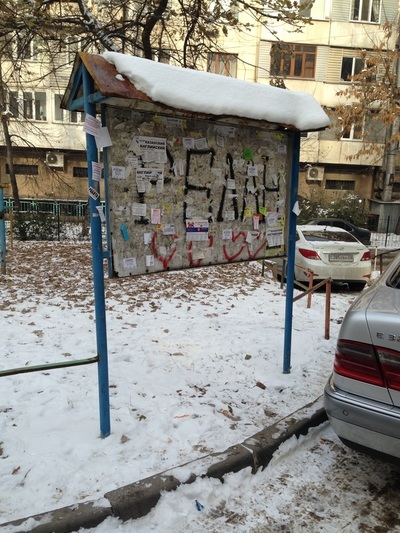 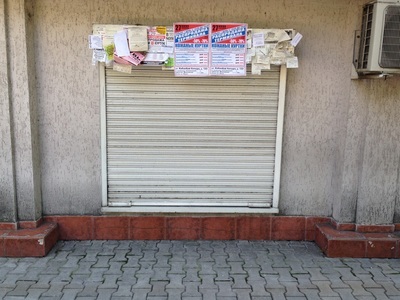 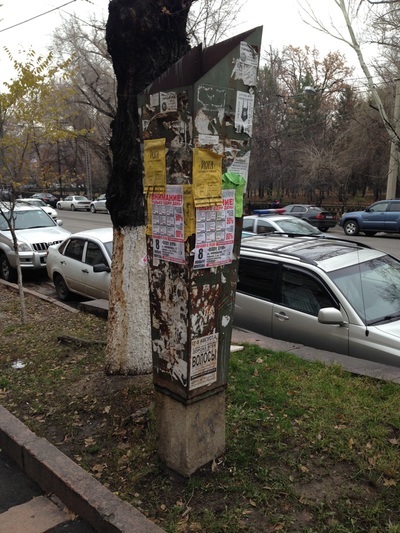 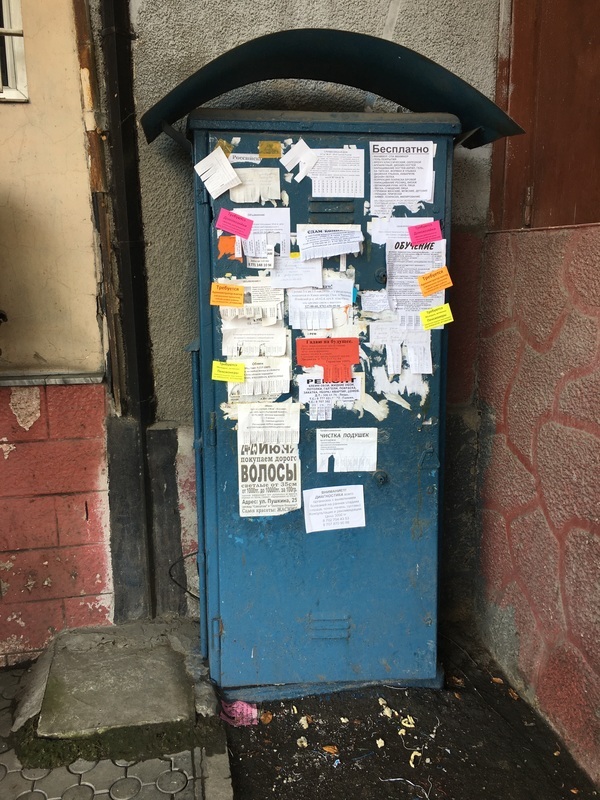 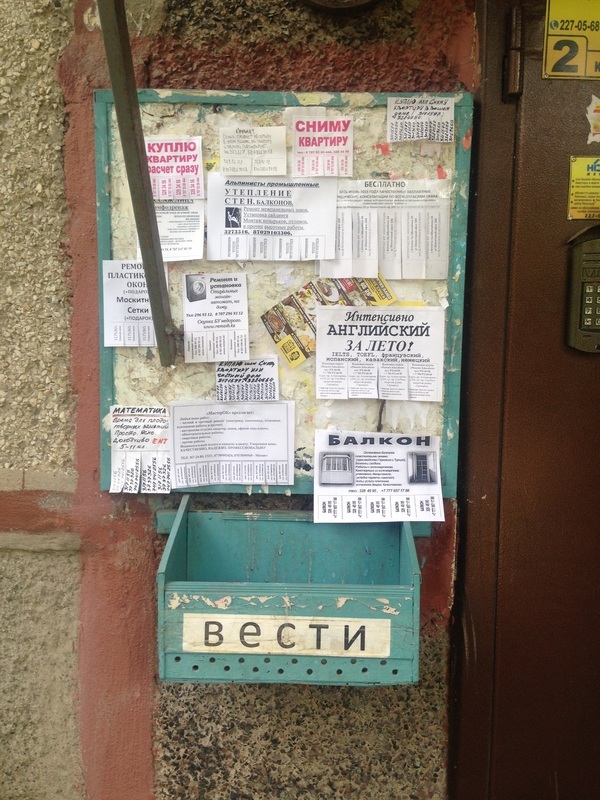 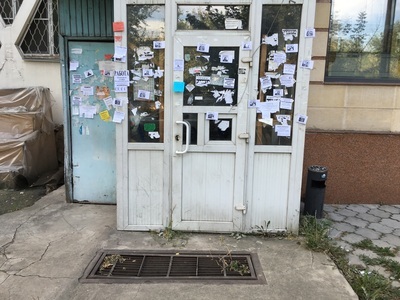 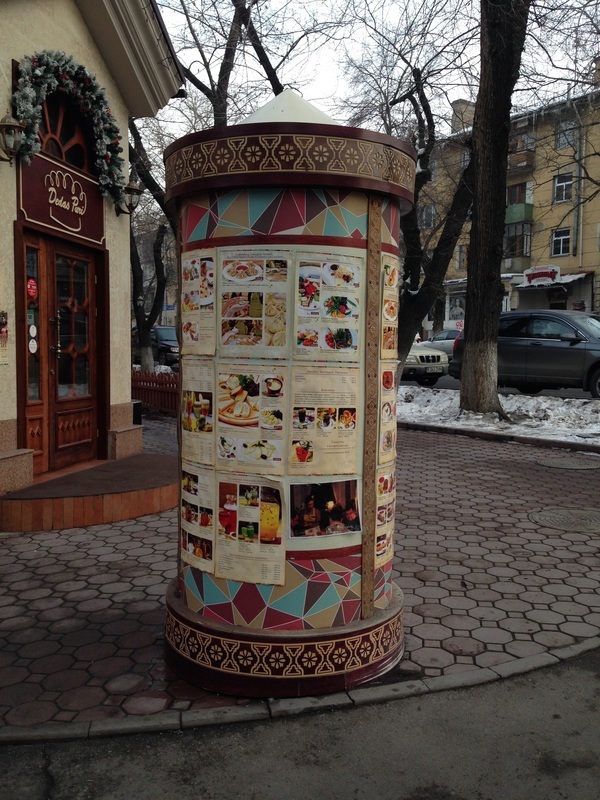 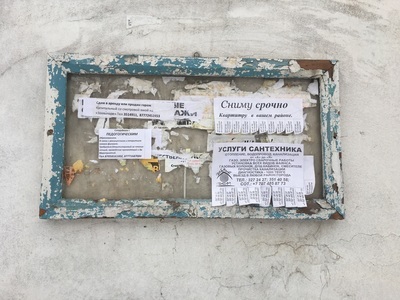 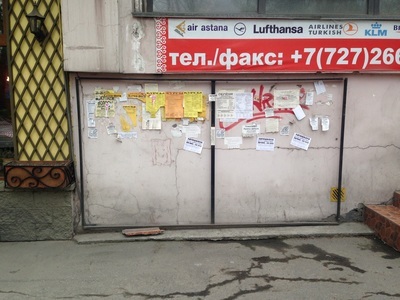 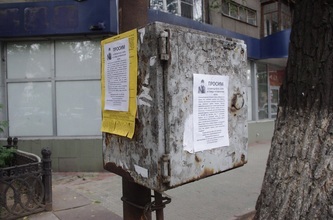 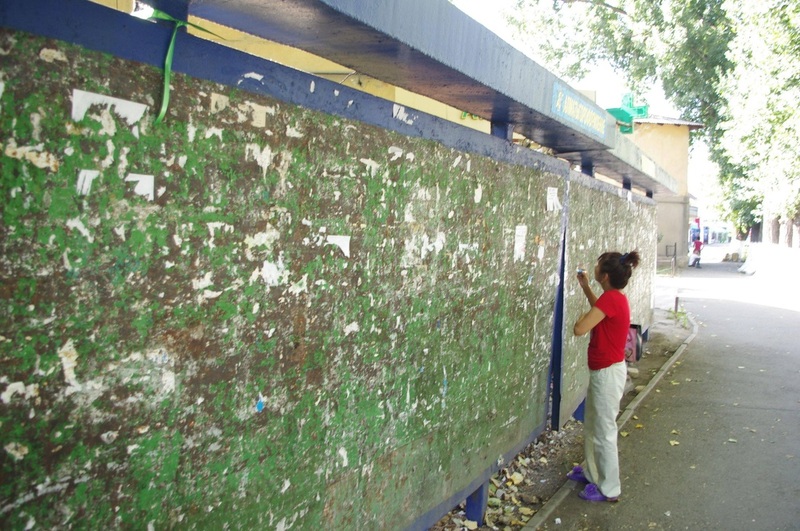 The operation controlled all the bulletin boards in Almaty, but there was nothing much posted there besides announcements for upcoming party events and opera debuts. 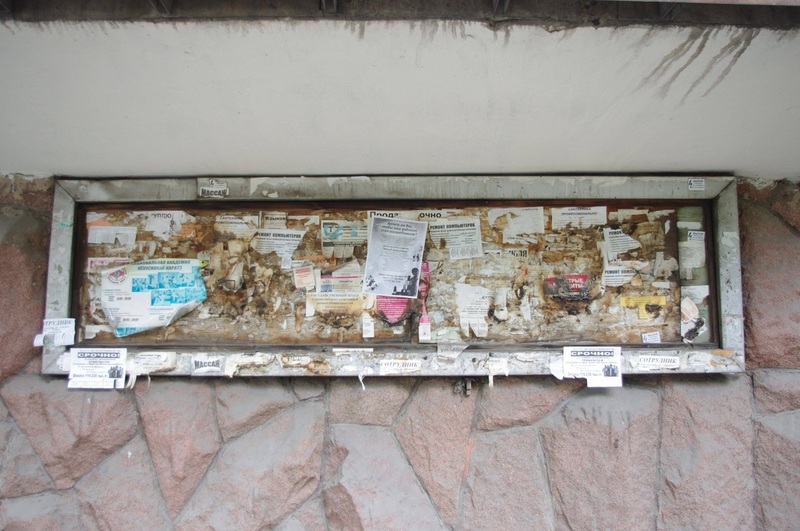 Personal ads and "for sale" postings, meanwhile, lived entirely in the backs of newspapers; actually, there were and are entire publications devoted to these abbreviated requests. In the 1990s, the USSR went caput and Almatygoroformlenie was spun off into a more private enterprise, so the bulletin boards were no longer reserved just for Uncle Gorbachev. 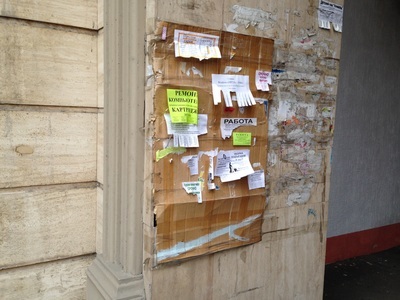 And then, as the economy crashed in on itself, everybody suddenly had something to sell. 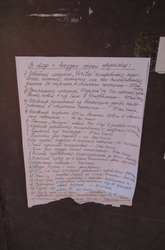 The sidewalks, people say, were lined with folks who threw bedsheets on the ground and covered them in their worldly possessions, looking for anyway to make cash. 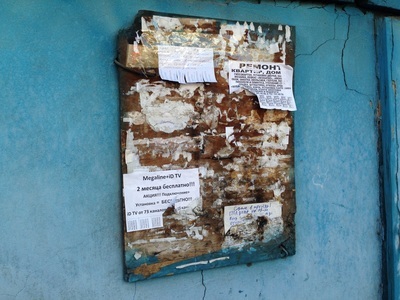 Almatygoroformlenie and its bulletin boards took in the booming new personal ad business, but the desperate ads spread from the board to the building behind it, then to the telephone pole nearby, and then to the tree. 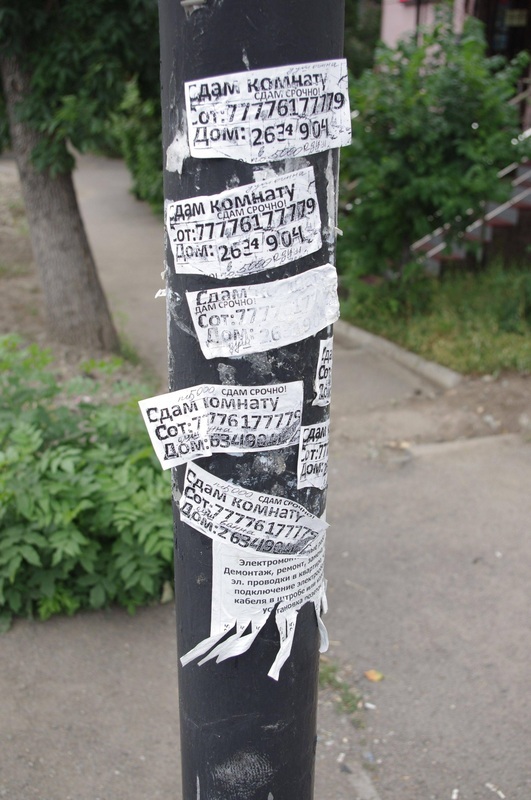 Now, classifieds are everywhere. 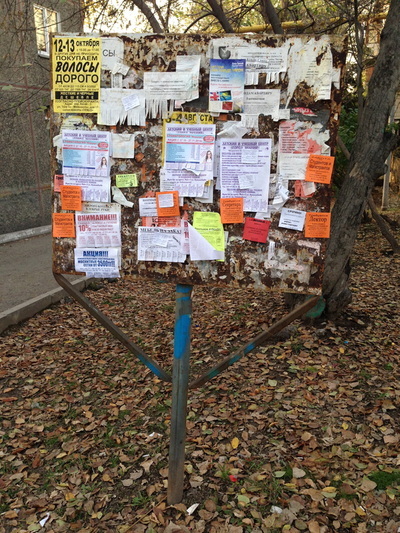 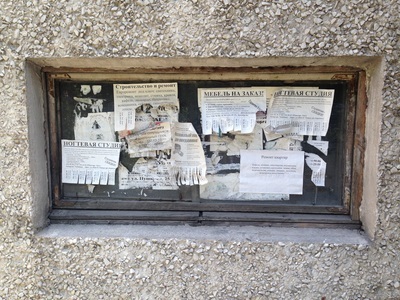 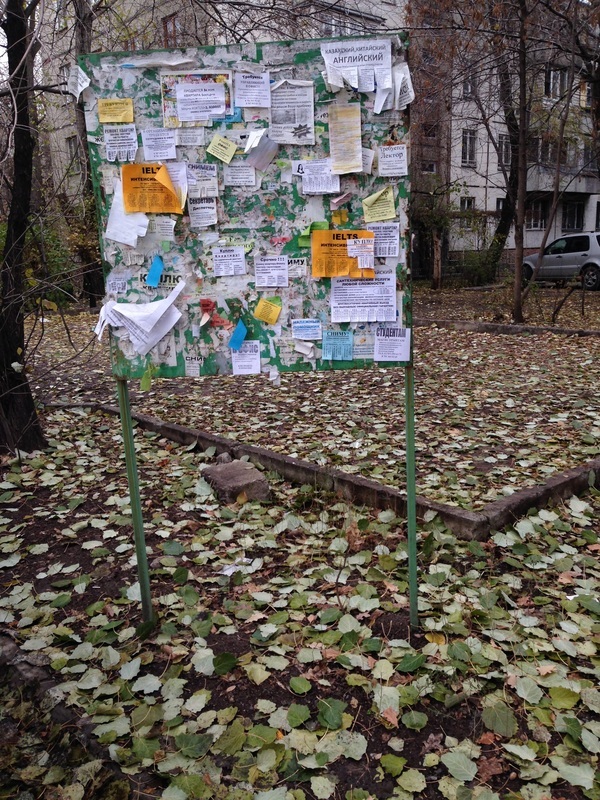 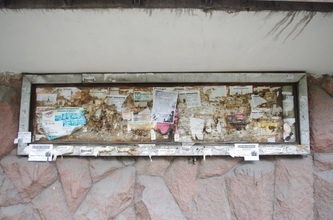 Almatygoroformlenie's bulletin boards still stand, though the company is strict about who can post on them. You can also find, standing chubby and cylindrical on sidewalks, what are called Morris columns, designated advertising spaces that are popular in France, Germany and, yes, Kazakhstan. 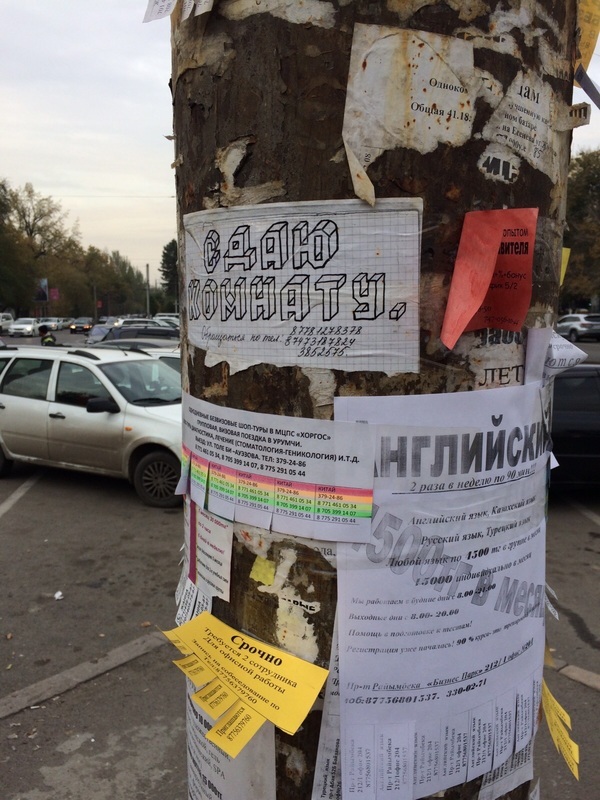 Almatygoroformlenie seems to have a hand in posting some of the more official-looking concert posters, but most classified ads are posted by sellers themselves or by special agencies that farm out their tape-wielding ground troops. Perhaps it is these workers who get a little overzealous sometimes, pasting their papers in everywhich place. 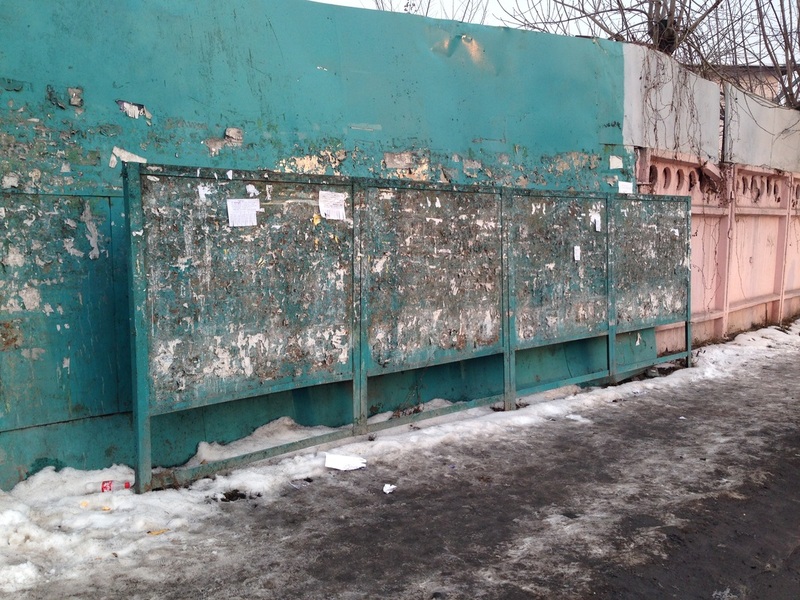 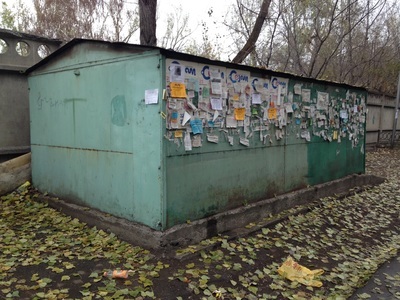 Thanks to them, Almaty is no longer the tidy place it once was. It wears a dress of paper frill, a city covered in text.